Sorry I’m a day late on this. Started to write this post Sunday morning but got off on a tangent about SAE bros, n-bombs and whether hip-hop makes white people say racist things. Anyway, folks keep telling me they’re working to keep track of everything I publish. It doesn’t always come up in their Facebook feeds, and the percentage of people who enter any news site through the front door is declining. Interesting stories can slip through the cracks that way. So we’re gathering everything here. If you missed something I published last week, you can get caught up. And if you want to know what I’m working on this week, keep reading. Last week began and ended with stories about the changing nature of sports sponsorships. Monday we got inside the NHL’s new partnership with Samsung Canada. As Samsung execs pointed out, sponsorship isn’t just about slapping your logo on rink boards. This deal is heavy on content. To learn why, click here to read the story. 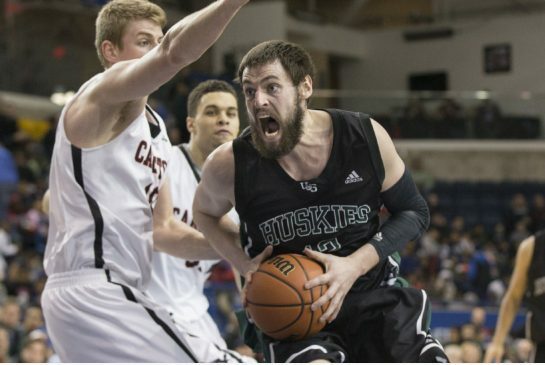 Later in the week I dropped in on CIS Final Eight, which is Canada’s version of March Madness — except with fewer viewers and way less money at stake. Organizers are seeking ways to monetize the tournament, and moving it to Toronto was part of that strategy. Attracting an audience and top-dollar sponsors is a process. Click here to read about the pros, cons and pitfalls of trying to commercialize college sports north of the border. 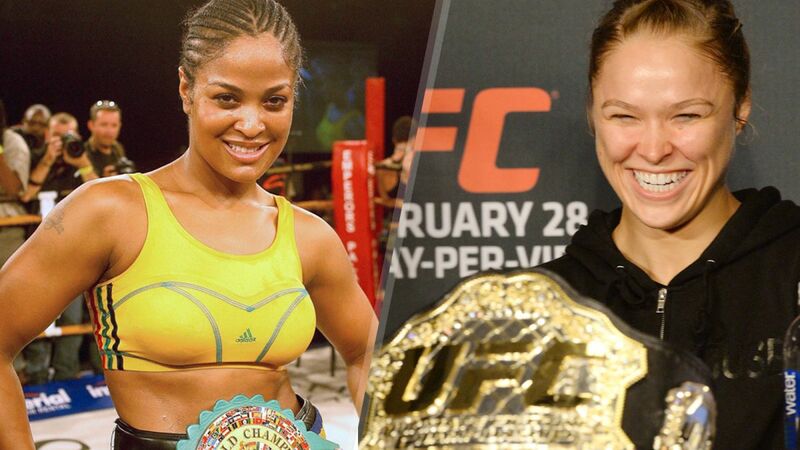 Published once during the week, addressing the idea of a proposed superfight between retired boxer Laila Ali and UFC champ Ronda Rousey. If they fight, common sense loses no matter who wins. My blog is a safe space for track and field fans. It’s important to spell that out in North America because over here we’ve decided you need a reason to love that sport. You can be skinny, fat, short, tall, lazy or any other type of unathletic and you still never have to justify your love for football or baseball. You don’t have to be a former player to follow the sport. You just have to love it. Track is different.. Tell a North American you love track and immediately people start asking if you ran in college, as if you can’t simply be a sports fan who follows track alongside major team sports. I don’t know where that idea came from, but it holds no sway here. Visit this blog often enough and you’ll figure it out but if you’re new, now you know. With that out of the way, a couple of track stories caught my interest this week. 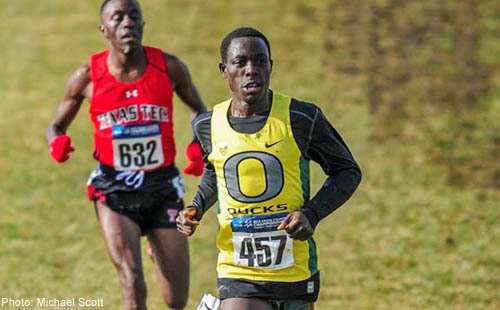 First was this Wall Street Journal profile of Edward Cheserek, who was born in Kenya and moved to New Jersey for high school, and who now blazes tracks as a member of the University of Oregon’s track team. The Journal wants to know if he’s The Next Great American Male Distance runner. He’d have to become a citizen first, but even if he does folks will still question whether he’s American enough. Meb Keflezighi knows how that feels. Second isn’t a story. Just an outstanding performance from the weekend’s NCAA Indoor Championships. I’ve been telling folks for a while that Baylor University soph Trayvon Bromell is The Man and this week he proved me right. He entered the weekend favoured to win the 60 and 200m dashes, DQ’d in the 60, handled it like a pro, then damn near broke the sound barrier in winning the 200. Second place in that race? Two underclassmen. Two of the fastest indoor 200m times ever recorded. Consider me impressed. Last link has nothing to do with running. It’s from the New York Times — an economist’s look at Patrick Willis and other youngish NFL players who retired recently even though could have continued to earn millions. A fascinating look at the marginal value of a dollar, and how safety concerns figure into decisions about how much money is enough. As for me… whatever amount of money I have still isn’t enough, so I’m back on the job. This week I’m writing about the business of March Madness along with whatever else I can unearth. In between all that you can find me right here.